Arizona is one place that I always really fancied going to. But for one reason and another, I’d never actually made it, even when living in California at the turn of the Millennium. But seeing as it was my 50th birthday this year, it fell to me to choose our holiday destination and so I wanted to go somewhere that felt at least vaguely meaningful. After tossing up and rejecting places like Sri Lanka, which I’d love to go to but have no emotional connection with, inspiration hit. Arizona with its red cliffs and mesas rising out of the desert floor was the only place that would do. As I’d not returned to the US since leaving there 16 years ago, however, I didn’t want just any old vacation. It was the full American cliché or nothing: a road trip in an RV (recreational vehicle) a la Jack Kerouac – or not quite, but you know what I mean. A burst of hedonism in Vegas, Nevada, where my Beloved and I got engaged. A dash of kitsch in the stunning New Age mecca of Sedona, renowned for its energy vortexes and UFO tours. All topped off with stacks of natural wonderment at the Grand Canyon and Monument Valley, the scene of so many old cowboy movies in the north of the Navajo Nation reservation. And what do you know – the US was just as I remembered it. Big and brash and beautiful – subtlety isn’t generally the word that springs to mind for this fascinating country. But sadly, one thing that had changed was simply the cost of the place – in fact, it was eye-wateringly expensive. In my day, eating out and going out and clothing yourself in fine raiment was a relatively cheap activity, especially when compared to the UK. But no more. The whole sterling-crashing-through-the-floor thing since the Brexit referendum decision undoubtedly hasn’t helped, but the US is bloody pricey for a Brit these days. The country’s average median wage of $55,775 (£45,336) has shot ahead of the UK’s £27,600 and it’s reflected in the everyday cost of living. Even in Vegas, which we initially flew into and where at one time food and drink was as cheap as chips in order to keep everyone in the casinos and in or around the gaming tables, prices were exorbitant. The most cost-effective meal we could find, for example, was an all-you-can-eat buffet at The Wicked Spoon restaurant in the Cosmopolitan casino and hotel, where we were staying, for $27 (£22) per head. Which incidentally served truly excellent fare and meant that we didn’t have to eat again that day – just waddle back to the astounding so-called “wrap-around suite” with bedroom, living room, kitchen, two huge bathrooms and an immense balcony surrounding it (hence wrap-around, I guess) that my Beloved had cleverly managed to blag with tales of our Vegas engagement and the fact it was my 50th. Anyway, the reason for the hike in Sin City’s food bills is, it seems, linked to hotel occupancy rates. Oversupply and dwindling demand means that they’re now hovering at around 50% so it’s all about making up the shortfall elsewhere – and that’s despite the fact that the average punter budgets to spend a huge $530 (£433) on gambling during their stay – according to the local freebie guidebook, ‘Vegas2Go’ that is anyway. For our obligatory night of hedonism though, we decided to abandon the Strip altogether, which is uptown, and follow our taxi-driver-from-the-airport’s advice to go downtown – to Fremont Street, which is in fact the original Vegas and where it all started in the first place. And what a great decision it was. Despite having visited for years, it was our first time there. And it was fab – just like the Vegas of old. Tacky and glitzy and over-the-top – and a fraction of the price of the now largely sanitised Strip. One old cliché that I was pleased to see hadn’t gone bye-the-bye though was the vast quantity of food still dished up in restaurants and diners. So huge are the meals, in fact, that the only ones we didn’t share were the entrée-sized starters, and we didn’t eat many of them really – we were in an motorhome remember, which meant barbecuing most nights in one of the excellent fire pits provided in RV parks dotted around Arizona. Incidentally so common is the whole RV experience in the state that even regular parking lots have huge spaces marked out to cater for them, which given their massive bulk is a real godsend. And that leads me on to the life of the RVer, which it must be said is another world. A lifestyle pursued by many so-called snowbirds or retirees who sell their worldly goods to buy motorhomes and move south to warmer climes for the winter, it has a language all its own. There are “full hook-ups”, which mean you can connect to the RV site’s water and electricity supply rather than use your own. There are dumps, which as you might suspect are special holes in the ground in which to pump your “black” (toilet residue) and “grey (washing up and shower water) waste” into the cesspit lurking beneath. And then there are “pull-throughs”, which is shorthand for saying that on leaving, you can drive your vehicle straight through your assigned plot on the RV park rather than have to manoeuvre the damn thing to get out. Which is no mean feat. At only 22 feet, our motorhome was just a baby known as a “Minnie Winnie” (Winnebago). I never actually quite got up the courage to drive her though, being somewhat put off by the fact that, even though my Beloved is a very experienced motorist, he spent the first couple of days racked in terror trying to handle her huge dimensions. In fact, every time we took off across one of the vast, open plains that seemed to link many of our destinations, his arms were nearly ripped out of their sockets trying to keep her in a straight line as her massive surface area led to us being buffeted about by the wind. By the end of our trip though, it should be noted that my Beloved had developed serious RV-envy and was unable to let even one of the immense bus-size creations lumber by without obsessive online searching so he could sigh over their vital statistics. Another great cliché lived and experienced, meanwhile was getting to travel on Route 66. In fact, this most famous of US roads also known as the “Main Street of America” or the “Mother Road” kept popping up all over the place, and not necessarily where you’d expect either. One of the country’s first highways connecting Chicago, Illinois, to Santa Monica in California and romanticised in song, we first picked it up on our initial stopover after Vegas in a non-descript town called Kingman – which nonetheless makes the most of its meagre assets by pushing itself as “The Heart of Historic Route 66”, complete with nostalgia-inspired motels and diners for tourists. We then ran into it again passing through a similar town called Seligman. And somewhat surprisingly once again going up to the Painted Desert in the north of the Petrified Forest National Park, with its ancient trees that have turned to multi-coloured stone and crystal as a result of water containing minerals seeping through the mud, sand and volcanic ash in which they were buried and filling up the decaying wood. But that’s Arizona for you – just full of amazing natural beauty. In fact, much as I love California, which is definitely more diverse, I would have to say that Arizona has the edge in terms of sheer, unadulterated drama – not least because it’s amazing mesas and buttes are, in the main, a breathtaking red. And despite being a shameless tourist trap, the reddest piece de resistance of all is, of course, Monument Valley (which is actually on the border with the state of Utah) in the 16 million acre Navajo Nation, by far the largest native American reservation in the US. Full of astounding sandstone shapes towering out of the ochre desert floor, you might well have seen it in one of director John Ford’s old cowboy movies with John Wayne as the main man. As to how Monument Valley came to have this starring role though, that was thanks to a white couple, Harry Goulding and the wife he nicknamed “Mike”. They had come to the area in the 1920s and established a trading post there for the Navajo tribe to exchange their livestock and handmade goods for foodstuffs and manufactured goods. By the 1930s, however, the Great Depression had hit and people on the reservation began to starve. But Goulding had heard that a movie production company was scouting for film locations in the area and so set out with Mike for Hollywood with their last $60 in their pockets to round up interest. A combination of luck and perseverance led to them meeting Ford, who on seeing photos of Monument Valley was sold. And the rest is history, as they say – although the plight of many native Americans in their own country is, sadly, still marred by the same poverty that afflicted them in the 1930s and the same racism that weaves through the very fabric of those old-fashioned westerns. Nonetheless, I can honestly say that, with only one or two exceptions, the Americans we met of all colours and creeds were as friendly and as positive and as welcoming as I remembered them. And I really can’t think of a better cliché to live up to than that. Do you ever get the feeling that you’re fated? That things, despite your best intentions, seem doomed to go wrong? So it was when my parents and I decided to take ourselves off to Ireland, the land of my maternal forefathers, for a lovely week’s holiday. The aim was to celebrate my dad’s 80th birthday (April) as well as my twin brother and my 50th birthday (August) in the month of my mam’s birthday (June), which, being in the middle of the two, meant that no one was left out. Apart from my brother, that is, who lives in Australia and so couldn’t make it. But the thought was there. So the plan was to fly in to Dublin, pick up our hire car and hot tail it over to Athlone, which is roughly half way between the Emerald Isle’s capital city on the east coast and its cultural hub on the west side, Galway. And thus began one of the central themes of our holiday – that of getting lost. While everything was quite stress-free as long as we stayed on the straight and narrow of the country-spanning M6 motorway, it was getting to our final destination that flummoxed us each time – satnav notwithstanding. In Athlone, after going up and down the same stretch of road several times and ending up in a farmyard anxiously eyeing an approaching dairy herd, we finally gave in and called our hosts at a local B&B who came and rescued us in their SUV. To make matters worse, when driving out to dinner at the excellent Hodson Bay Hotel on the shores of the lovely Lough Ree that very evening, we somehow took a wrong turn. Twenty-two whole kilometres up the motorway later, we finally found a slip road and were able to go back the way we came. Amazingly, we made our booking a mere 30 minutes late. But it was a similar story when arriving in Galway the next day. On trying to find the apart-hotel close to the town centre that we’d opted for as a respite from the usual strictures of hotel life, we ended driving round in endless circles getting increasingly desperate as the satnav took us near – and yet so far. So again, we got on the phone, only to discover we’d actually been driving fruitlessly up and down and around about the road directly behind our intended destination. But that’s what happens when you’re naïve enough to assume that signage will be visible from the main thoroughfare rather than the pretty, little canal on the other side. So we had nobody to blame but ourselves. Obviously. Even in Dublin though, where you wouldn’t think we could go too far wrong, we still managed to miss our end point – although in mitigation, we were given the name of the main road rather than the street leading off it, which was in fact our true destination. But as if such transporting delights weren’t enough, it also seemed to be a week of things going wrong apropos our sensory organs. I started the ball rolling by leaving my steroid eye drops at home, which in the wake of my second cataract operation – despite being 20 to 30 years too young – were possibly the most important thing not to forget when packing. But after ripping my luggage apart after finally arriving at our B&B in Athlone, I discovered their unexpected disappearance – or as it turned out, my absent-mindedness. And this, despite having constructed a scenario in my head where I distinctly remembered having put them in my handbag. Which meant, of course, that they must have magically transported themselves back home to my kitchen just to annoy me. So the planned guided tour around the stunning, ruined monastery of Clonmacnoise on the banks of the River Shannon had to wait for another day. Instead we spent the morning in a pharmacy in downtown Athlone traversing our way around the system so that I could be prescribed some more – with it must be said the aid of the sweetest, most helpful pharmacist that ever walked the earth. I can’t imagine people going out of their way quite so much at home, but I wasn’t half grateful. Next on the list was my dad, who after quietly enjoying a respite from seemingly endless female chatter, actually discovered that the batteries in his hearing aids had run down – although it wasn’t anything that a hasty trip to the not entirely obvious destination of optician SpecSavers couldn’t sort out. Not to be outdone, meanwhile, my mam managed to break off a sizeable chunk of back filling after crunching down particularly vigorously on a Murray Mint on the way to Galway. So that accounted for another morning of our precious holiday as she, in turn, availed herself of the facilities. Which at least gave us a respite indoors from the driving rain that had pursued us from the moment we set foot in the place, I suppose. A particularly poignant situation as such intemperate weather had sadly followed hot on the heels of a two-week heat wave. But there were lots of pluses too. The Irish people we met were as friendly and convivial as ever. The country was as beautiful and varied as I remembered it. And its history was just as poignant and affecting now as it’s always been, especially in this centennial year of the Easter Rising, a pivotal moment in Ireland finally managing to win independence from England/Britain after 800 years of oppression. So I guess the moral of this particular little tale is that, even in what seem to be the most difficult of times, things can, and very often do, turn out just fine in the end. 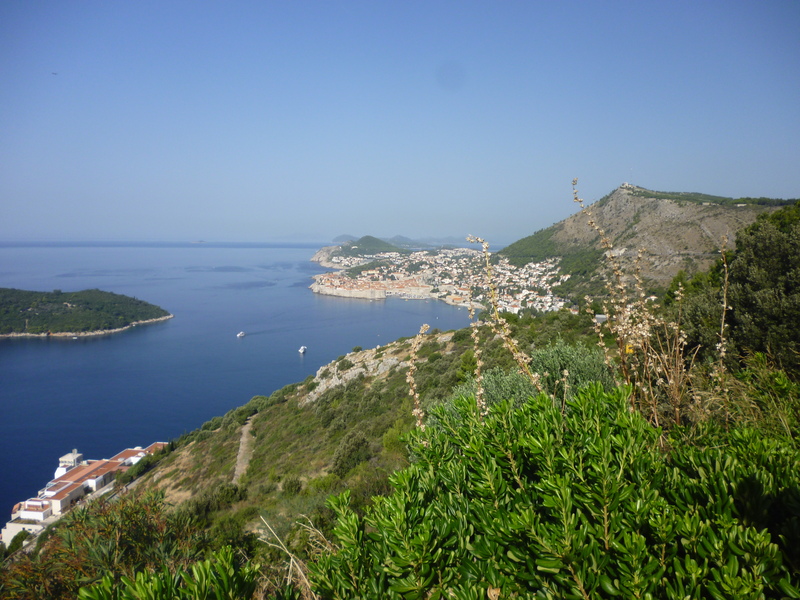 Dubrovnik in Croatia has these days become a favoured holiday destination for lots of Brits. And Americans. And Germans. And Roman Arkadyevich Abramovich, Russian oligarch and owner of English Premier League football team, Chelsea. Worth a jaw-dropping $9.1 billion, which according to Forbes, makes him the 137th richest person in the world, his $1.5 billion, 557-feet, super-sleek super-yacht Eclipse can usually be spotted sailing around off the stunning Dalmatian coast for a couple of months towards the end of each summer – a ritual performed for the last three or four years apparently. Strangely though, he is said to never actually disembark and avail himself of the local delights, preferring instead to simply float around different parts of the bay and view things from a distance. Which seems a bit of a shame really. But maybe having all that money isn’t everything it’s cracked up to be. Eclipse, which was custom-made to Abramovich’s own specs in 2010, is for example reportedly kitted out with a missile defence system, armour-plating around his master suite, bullet-proof windows and an anti-paparazzi system. This laser-based system can allegedly detect the electronic light sensors of digital cameras, which it targets with a beam of bright light to overexpose any privacy-busting photos having the audacity to be taken – an ideal accessory for anyone who guards his persona as international man of mystery as jealously as Abramovich does. But just in case you come away with the mistaken notion that the guy is all work and no pleasure, the yacht also boasts a dedicated disco hall, two swimming pools, two helicopter pads and a mini-submarine, doubtless so he can enjoy the local aquatic life without having to mix with the rest of the tourist hoy-polloi. In fact, when first built, this extravagant plaything was apparently the largest private yacht in the world – although it has since been usurped by younger model, Azzam, thought to be owned by Shiekh Khalifa bin Zayed Al Nahyan, emir of Abu Dhabi and president of the United Arab Emirates. Not to be outdone though, there are now rumours that Abramovich is in the process of going one better and having the ship to beat all ships delivered into his tender care next year. Anyway, Eclipse isn’t the only boat of stature that can be seen sailing around Dubrovnik’s shores by any stretch of the imagination. Astoundingly for a small, essentially medieval-turned-Baroque town following its rebuilding after a devastating earthquake in 1667, half again of its entire population of 40,000 souls swarms in each day during tourist season, many being disgorged from gigantic cruise liners the size of small cities. Each of these extraordinary behemoths holds between 2,000 and 3,000 passengers and roughly the same number again of staff. Thankfully for everyone’s sanity after five or six years of madness however, a maximum of three are now allowed to dock per day, although no such limits have been imposed on smaller ships in the 1,000 or so passenger range. Which all makes the Old Town, a Unesco World Heritage site known as the ‘Pearl of the Adriatic’, a bit of a crush to say the least – or between the hours of 10am and 6pm anyway. And we went there at the end of September so I’d hate to think what it was like in the peak months of July and August, especially now that Game of Thrones worshippers have added themselves to the throng. Doubling as King’s Landing in Westeros, the capital of the Seven Kingdoms, in the HBO epic fantasy series, the city has as a result become a mecca for avid fans who can even take a three hour walking tour to treat themselves to a unique modern take on traditional gems. It’s all a far cry from the quiet backwater that I first visited in the mid-1980s when Croatia was still part of the post-war socialist state of Yugoslavia and Josip Broz Tito reigned supreme. Then it was all about women in long black dresses and headscarves selling oranges outside their homes and taking produce to market by donkey. How times have changed. 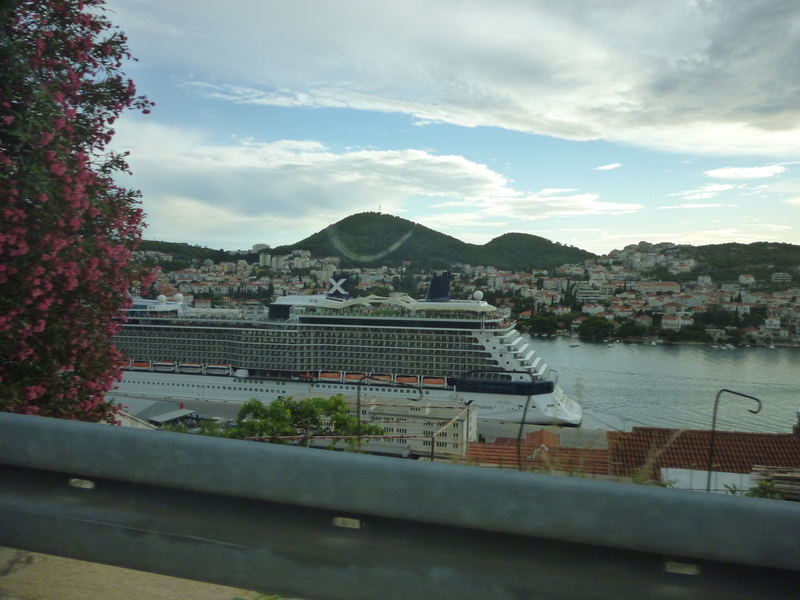 But the scrum that Dubrovnik can unfortunately become doesn’t ever seem to put people off – and in many ways you can see why. Surrounded by two spectacular if exposed kilometres of stone battlements that everyone walks around for the bargain basement price of 100 Croatian kuna (about £9.65), this exquisite city jutting into an azure Adriatic Sea with its terracotta-roofed Gothic, Renaissance and Baroque churches, monasteries and palaces, truly is picture postcard fare. And its seafood is equally magnificent. With everything from sea bass and gilt-head sea bream to squid and octopus on the menu, it’s all about fresh ingredients cooked simply and served with tasty side orders of salad, rice or French fries. Other traditional delicacies also worth trying include cevapcici, which is a kind of highly seasoned rissole, and chicken or lamb slow-cooked under a metal lid called a peka that is covered with hot embers. Equally as ubiquitous, meanwhile, are the excellent pizzas, pasta dishes and ice cream in myriad flavours of a quality rarely experienced outside of Italy – a line-up that may at first glance seem rather odd. 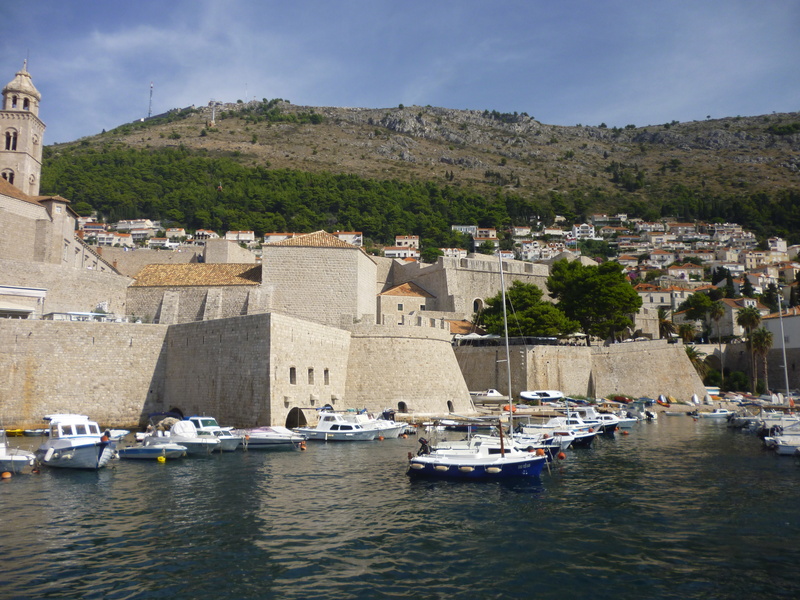 But given the proximity of its Mediterranean neighbour to northern Croatia and the powerful commercial relationship engaged in particularly during the fifteenth and sixteenth centuries between the key maritime trading centres of Dubrovnik and Venice – which incidentally apparently tried to invade the former a huge 70 times – it’s possibly not quite as strange as it seems. Also not to be missed though are Croatian wines – and the reds in particular. Although a bit of an unknown quantity in the UK for many, the industry is, along with olive-growing and citrus fruit production, a traditional and well-established one. It’s just that the vast majority of its outcomes are drunk at home and the country’s export market is tiny, which means that the average European simply isn’t particularly familiar with its delights – or the tongue-twisting names assigned to its grape varietals and brands. Because it must be said that words belonging to the Slavic Serbo-Croatian language, which is spoken in a mutually understandable way all over the Baltics, do seem to include an unreasonable number of consonants – a case in point being the white wine grape “Trbljan bijeli” or a red wine version “Grenas crni”. Which is all a bit daunting initially. As is the apparent shamelessness of rotund, middle-aged, Croatian men wearing tiny, weeny little Speedos at the beach in our holiday retreat of Zaton, about eight kilometres out of Dubrovnik itself. But over time, I can only say that I truly got to admire the lack of body consciousness displayed by both Croatian genders – a state of being so far removed from the average set of constraining British inhibitions as to be deeply impressive. Because when push comes to shove, the fairy tale exotica of Dubrovnik and Croatia really are best enjoyed if you simply take them as you find them.